Let’s talk about community. It’s a term that gets used a lot – but what does it really mean? There are a variety of ways in which individuals can feel more involved with their local community. But what about as a group of employees? The importance of looking after each other is something we are passionate about at Fugu. In the office environment, this might mean something as simple as taking the time to check in when someone seems stressed, or making a round of tea before a meeting. But why shouldn’t this desire to look after each other extend beyond the office walls? It’s part of the reason we place community at the heart of what we do. Using our media and communications expertise, we’re able to work with some brilliant charities that are making a difference in our community – and we encourage our clients to do the same. So, here’s a mini shout out to some of the incredible local charities in our extended network – and a little bit more on how we help them and how you could too. An inspiring local charity that works with young people to build confidence, communication and creativity through writing. In addition to one of our team being a trustee, we are also on hand to offer advice on all aspects of communications and help strengthen relationships with the local media. To support a charity committed to providing a safe space to young homeless people, we have been able to assist with a creative ideas session and local media outreach. As a long-time supporter of homeless charity Brighton Housing Trust, we were excited when the opportunity arose to connect the charity with one of our clients to help support their mission. 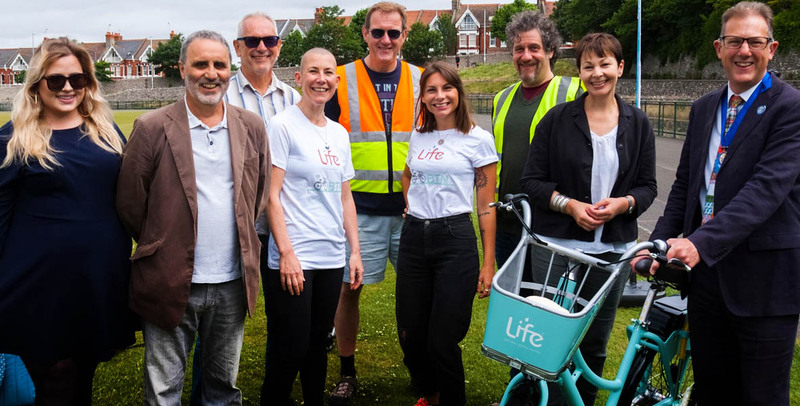 For the second consecutive year, BTN BikeShare assisted with BHT Sussex’s Cycle Around the World Challenge, helping raise vital funds to support their work with homeless people in Brighton and Hove. We also help fund the coffee supply for BHT’s First Base day centre. If you would like to join in and help donate other essential supplies then please let us know and we can put you in touch with all the right people.